Happy first day of fall 2014. 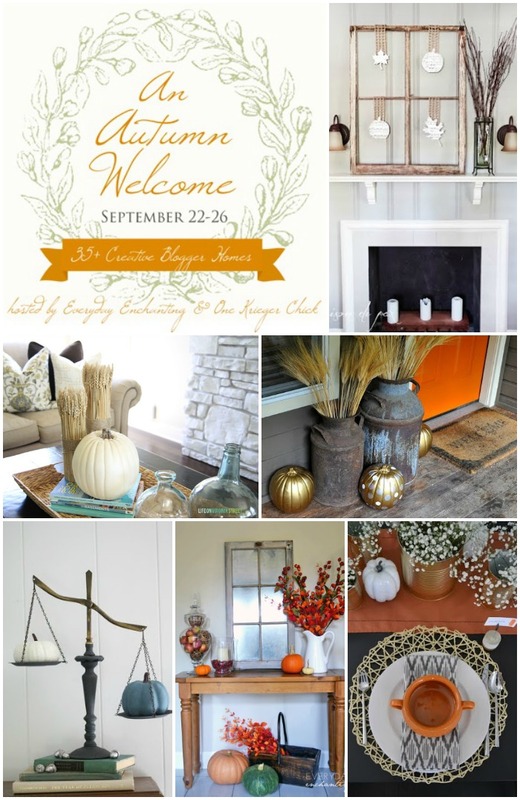 This will I am linking up with a ton of other creative bloggers that are also inviting you into their homes to see their fall decor! You’ll see some today (linked at the bottom of this post) and each day more and more links will be added, so be sure to come back for more amazing fall home tours! Come back to me my tour tomorrow. Today I am going to show you a way to decorate your door for fall that is an alternative to a wreath. I whipped up this up in a matter of minutes. I purchased wood letters and a bag of adhesive moss. You will find the adhesive moss usually near the wreath making section on a craft store. It was about $7 per bag. I cut the moss to cover each letter. I applied the moss just as you would apply a sticker to the wood letters. My side door is metal and I have the luxury of hang decorations with magnets to that door.With hot glue, I attached magnets to the back of each letter. Easy huh? I think that this is a super simple fall decoration idea and it a great alternative to a fall wreath. Of course, you could spell any word your little heart desires with moss. This will I am linking up with a ton of other creative bloggers that are also inviting you into their homes to see their fall decor! You’ll see some today (linked at the bottom of this post) and each day more and more links will be added, so be sure to come back for more amazing fall home tours! Come back to me my tour tomorrow. Great idea Carmody! I love the mossy look!